POPULAR ENGINE REMANUFACTURE PRICES BELOW. Full Service Auto Machine Shop on site. Crack repairs, or Block Work. Core charges apply if your core is not rebuildable. LOOKING TO PURCHASE AN ENGINE WE'VE ALREADY REBUILT? 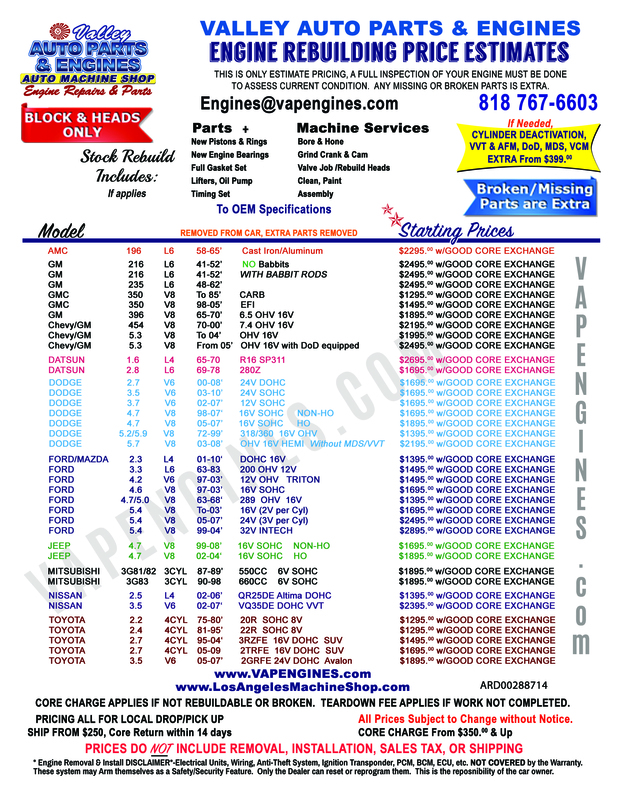 CHECK OUT OUR ENGINE SHOP PAGE. Quality rebuilt engines at Affordable Prices.